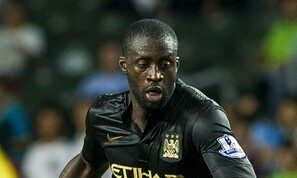 It has been revealed that Manchester City midfielder Yaya Toure is delighted with their summer market business. The cash-rich Premier League club have brought in strikers Alvaro Negredo from Sevilla and Stevan Jovetic from Fiorentina, as well as Spanish midfielder Jesus Navas and Brazil midfielder Fernandinho from Shakhtar Donetsk. “They are amazing, amazing. I already know them because some of them have come from Spain… They are great players and we welcome them to Man City.